Shirt collar supports (plastic shirt butterflies) highlight the line of the shirt collar. 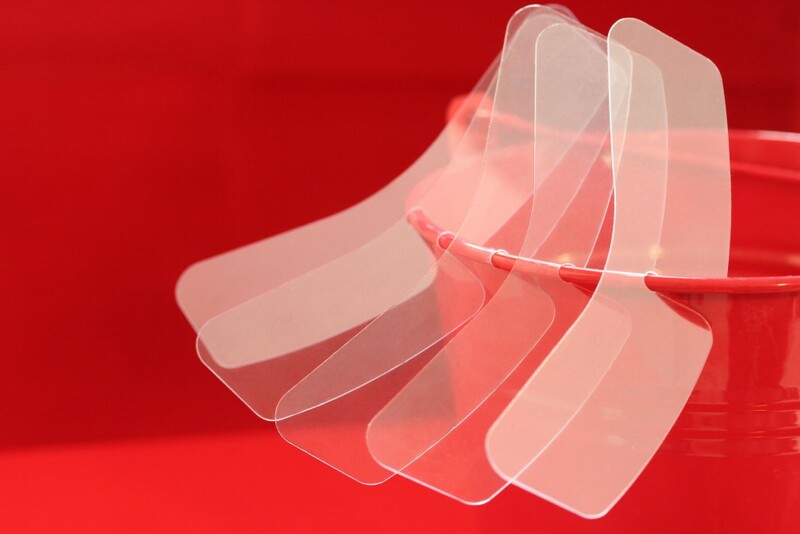 Made in transparent PVC, Maribert ® Shirt collar supports are produced in any size and shape. In order to ensure a wide choice that meets the needs of any shirt manufacturer Maribert ® S.r.l. can supply sample shirt butterflies on request.